This statistic displays the top 10 U.S. states based on alcohol consumption per capita from wine in 2016. 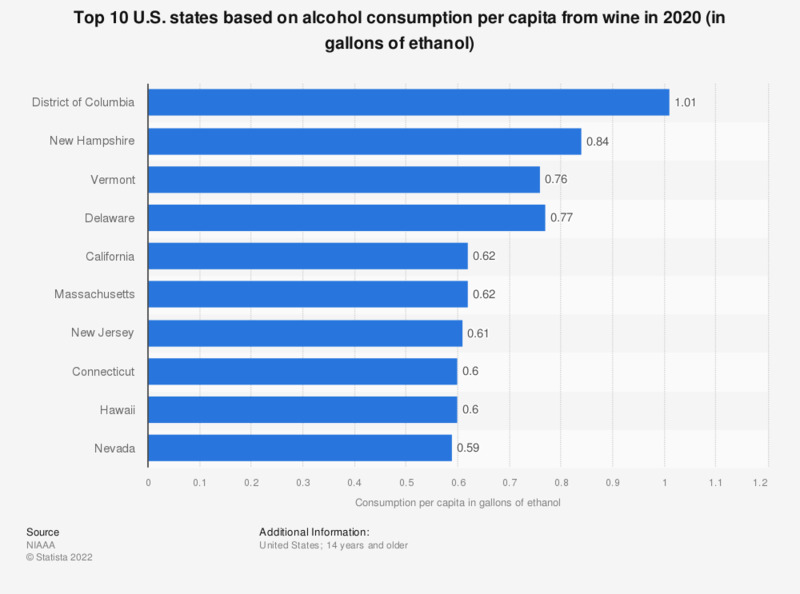 During this year, the alcohol consumption per capita in Delaware through wine reached some 0.73 gallons of ethanol (pure alcohol). The Health People program initiated by the U.S. Department of Health and Human Services established a nation-wide objective of no more than 2.1 gallons of alcohol per capita.